As always, we will begin our inspection with the 3G talk time of the device. 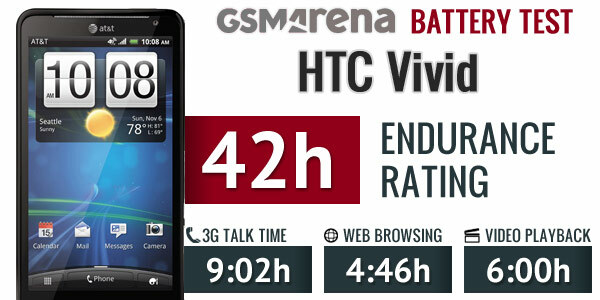 Here, the HTC Vivid managed the highly impressive 9 hours and 2 minutes, before its battery went flat. This result is significantly better than the official manufacturer numbers for the smartphone. To clear any doubt, we must point out that we ran the test on three separate occasions and achieved similar results with the screen of the device being switched off, as it will be when you hold it against your ear. The web browsing time achieved by the device came at 4 hours and 46 minutes. Given the massive 4.5″ LCD screen of the HTC Vivid, this is a seriously commendable achievement as well. 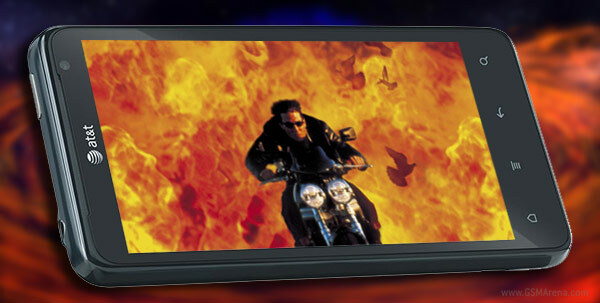 It is better than the likes of Samsung Galaxy S II and LG Nitro HD. Here, we must clarify that the result was achieved when the device was connected to a Wi-Fi network – this rule applies for all the participants in our test. We can reasonably expect the time to take a dip, should the device run on AT&T’s LTE network. The video playback time of the smartphone was also quite impressive. The HTC Vivid managed 6 hours of playback on a single charge. This is a solid result given the phone’s screen and modest battery capacity and, again, significantly better score than the its LTE sibling, the LG Nitro HD. The most important result of the test is the overall score. For the HTC Vivid it is the highly unexpected 42 hours. This means that you will need to recharge your device every 42 hours is you use for an hour each of phone calls, web browsing and video every day. This is one of the better results we’ve encountered during our battery tests. The HTC Vivid turned out to be remarkably efficient when left alone in standby mode. We have a full review of the smartphone coming out soon. In the meantime, you can check out our hands-on of the HTC Vivid here.